For nearly 20 years, NET-A-PORTER has been the ultimate go-to for the very latest fashion names to know, bringing them to you and your closet ahead of the rest. Confirming this status is the launch of its new project: The Vanguard. The idea? Each season, its talented team of buyers will hand-pick four exciting fledgling designers from around the globe to mentor and support, offering them training and advice on everything from buying and business strategy to marketing and social media. We can unveil the first lineup now, just in time to usher in the new season; commit their names to memory and get their clothes in your closet – fast. Ji Hye Koo has a passion for the ’70s, which is why her bag label, Gu_de (pronounced ‘good’), is one long, forward-thinking riff on the decade. But while there’s a retro theme running through her collections, the finished objects are contemporary through and through: an Instagram-ready mix of unexpected shapes, ladylike polish and sophisticated cool. The creation of sisters Wayne Lee and Ai Ly, this New York-based label is set to be a fail-safe for modern floral dresses and colorful separates ripe for layering. Romantic at heart – the label’s name translates as ‘the musings’, and its aesthetic is inspired by art, music and poetry – its blend of timeless luxury and modern femininity means that you’ll be wearing the siblings’ creations for seasons to come. Rūh sets out to prove that quiet, under-the-radar clothing can still be both stylish and irresistible. Created by designer Sonia Trehan, the label produces long, lean silhouettes that are refined, sophisticated and undeniably chic. They’re impeccably made, too: Trehan works with a family-run factory in Naples to give her grown-up clothes the fine-tuned finish they deserve. After French shoe designer Julien Martinez went on a trip to Spain’s Alicante region and discovered the traditional leather hand-lacing technique of a workshop there, his own label was born. 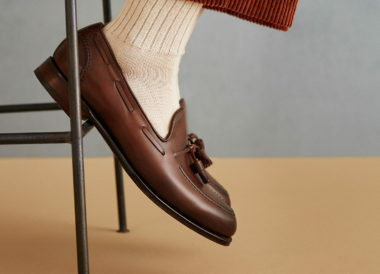 Each pair of his shoes is crafted in Spain; the mix of artisanal techniques, of-the-moment shapes and Mediterranean shades will make them your new must-haves. Originally posted by PORTER Magazine, discover the full story and collections here.